"An easy to make summer mixer with a refreshing taste." Place the ice into a tall glass. 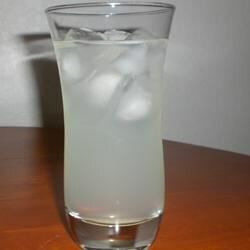 Pour in the vodka, lemonade, and lemon-lime beverage. Garnish with a lemon wedge to serve. Maybe if I had used a different brand of lemonade or tried pink lemonade as "roseannking" did, it might have been better. Just didn't like it. WHERE DID YOU FIND LIME VODKA? JACQUIN's stopped making it and now makes Citrus Vodka in it's place. It' awful. I loved the Lime Vodka and would buy it from any Brand name.